The Russian Navy’s Vice-Admiral Kulakov, an Udaloy-class destroyer, entered the Mediterranean Sea, a Northern Fleet spokesperson said Wednesday. “Large Northern Fleet anti-submarine destroyer Vice-Admiral Kulakov, being on a long journey, has completed the passage of the narrowest part of the Strait of Gibraltar and entered the Mediterranean Sea. The passage of the strait, whose bottleneck is 14 kilometers [8.6 miles], was carried out during the hours of darkness,” Capt. 1st Rank Vadim Serga told journalists.The crew has improved its safe navigation skills in complex night conditions, he outlined. Serga added that earlier in the day, the vessel’s personnel held celebrations marking National Unity Day in memory of the events of 1612 in Russian history, when Kuzma Minin and Dmitry Pozharsky led a people’s volunteer army to liberate Moscow from Polish occupation. Since October 23, the ship had already passed more than 3,000 miles, with part of the distance in stormy weather. The Russian warships operating in the Mediterranean can be used in the fight against ISIL in Syria, the Russian General Staff said Friday. Russian Navy can carry out missile strikes on the Islamic State positions in Syria at any moment, if ordered by the high command, the Russian General Staff said Friday.The Russian warships operating in the Mediterranean can be used in the fight against ISIL in Syria, if need be, Colonel-General Andrei Kartapolov, head of the Main Operations Directorate of the Russian General Staff, said in an interview with Komsomolskaya Pravda newspaper. “Our group in the Mediterranean primarily supplies materials. For this to go unhampered, a group of attack vessels is deployed there as well. In addition, this group guarantees our base’s air defense. We are in no way using these air defense systems against coalition countries,” he said. The Russian General Staff does not rule out the establishment of a military base in Syria consisting of naval, air, and ground troop components, Kartapolov said.Kartapolov stressed that there are no Russian officers in the ranks of the Syrian Army. “Our group is operating on its own and we have a small operations group from the Syrian Armed Forces at our headquarters in Syria that provides coordination of flights with the Syrian Air Force and gives us exact information of where front line of the government troops is,” he said. Prior to its air operation against ISIL in Syria Russia established an information center in Baghdad to share intelligence with Iraq, Syria and Iran. According to Kartapolov, Russia invited the US to cooperate, but the Americans never responded to this invitation. “They have a number of reasons not to do so,” he said. “They believe it is humiliating to acknowledge that without Russia they cannot achieve their goals which they announced a year ago.”“They are unlikely to have enough information on ISIL facilities, and the results of their airstrikes bear witness to that. They have a vague understanding of where the militants’ objects really are and it probably embarrasses them to admit that,” Kartapolov said. Russia started precision airstrikes against ISIL targets in Syria on September 30, following a request from Syria’s internationally recognized government. The Russian airstrikes hit targets that are chosen based on intelligence collected by Russia, Syria, Iraq and Iran. During an event marking Naval Forces Day, the robot will be involved in a military exercise. The new Russian Platforma-M combat robot will be on public display for the first time at an event in Kamchatka on July 26 marking Russian Naval Forces Day.The robot is planned to provide fire support for an operation against simulated infiltrators during anti-terrorist drills, the press office of the Pacific Fleet reported. “For Naval Forces Day, a military and sports event is scheduled which will involve a Platforma-M robot. The new robotic attack system together with special military units will show off its capabilities against a simulated enemy,” the report read. In addition, a naval parade will be held in the waters of Avacha Bay. It will involve 15 warships and support vessels of the Kamchatka military force. MOSCOW, June 24. /TASS/. 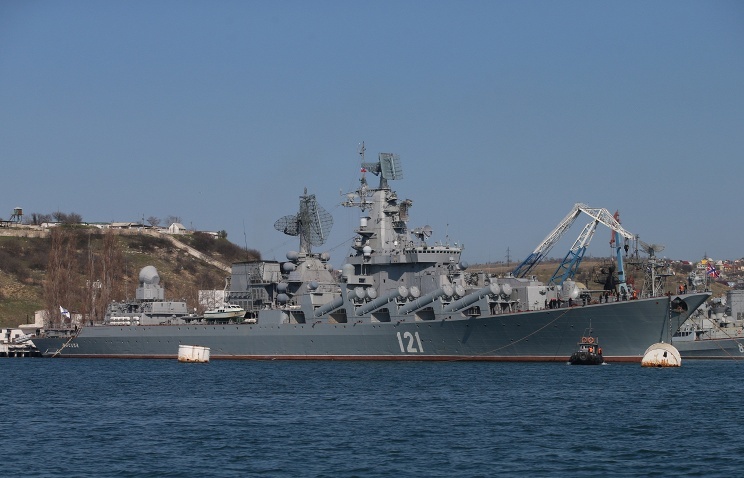 A group of warships of the Russian Black Sea Fleet led by the missile cruiser Moskva has set off for the Atlantic to perform missions, Fleet spokesman Vyacheslav Trukhachyov said on Wednesday. “The missile cruiser Moskva, the frigate Pytlivy and the rescue tug Shakthyor and also the tanker Ivan Bubnov passed Gibraltar this morning and entered the Atlantic Ocean,” the spokesman said. Previous reports said the ships made water and fuel replenishments at the Spanish port of Ceuta. The warship group is sailing under the flag of Russian Black Sea Fleet Deputy Commander, Vice-Admiral Valery Kulikov. The missile-carrying cruiser Moskva and the tanker Ivan Bubnov left Sevastopol on June 1 to take part in the Russian-Egyptian naval drills dubbed Friendship Bridge-2015. The frigate Pytlivy and the rescue tug Shakhtyor were part of the Russian Navy’s permanent force in the Mediterranean Sea before joining the warship grouping. According to United Shipbuilding Corporation spokesman, new Russian Navy destroyers, originally intended to be equipped with Ukrainian gas turbine engines (GTE), will receive Russian-made engines exceeding the Ukrainian analogues. New Russian Navy destroyers, originally intended to be equipped with Ukrainian gas turbine engines (GTE), will receive Russian-made engines exceeding the Ukrainian analogues, a United Shipbuilding Corporation spokesman told RIA Novosti on Monday. 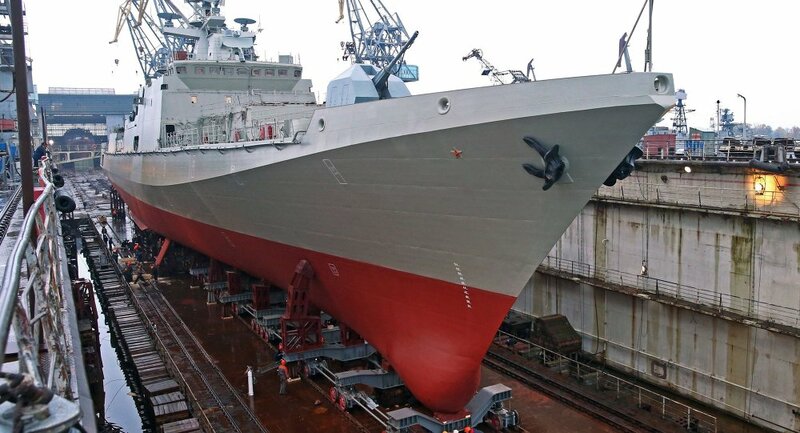 “The first three patrol ships of the project 11356 and the first two ships of the project 22350 are already equipped with GTEs manufactured in Ukraine. Subsequent ships of both projects will be equipped with Russian-made power units with characteristics superior to Ukrainian GTEs,” the spokesman said. He added that the modernization of existing Russian GTEs has begun and will be finished in late 2017 — early 2018. Russian and Ukrainian defense sectors were deeply integrated following the collapse of the Soviet Union. However, Ukrainian National Security and Defense Council suspended military cooperation with Moscow after Crimea’s reunification with Russia in March 2014. Russia launched an import substitution program to replace foreign components used in the defense industry. The military equipment and arms import substitution plan was finalized December 2014 and will eliminate Russia’s dependency on foreign-made defense products. Head of the Russia’s Northern Fleet press service has denied it is holding or is planning to hold any naval exercises in the English Channel, but will pass through the waterway on its course to the North Atlantic to hold drills. MOSCOW (Sputnik) – Russia’s Northern Fleet has denied it is holding or is planning to hold any naval exercises in the English Channel, but will pass through the waterway on its course to the North Atlantic to hold drills, the head of the Northern Fleet’s press service told RIA Novosti on Tuesday.“We’re not holding anything in the English Channel. The ships are currently taking a course through the Channel, but exercises will be held later in the northern regions of the Atlantic,” Capt. 1st-Rank Vadim Serga said. He also denied that the upcoming naval drills are affiliated with the large-scale NATO drills to the north of Scotland. “There’s no affiliation at all,” he added. The fleet’s press service announced completing a range of anti-air and anti-ship defense exercises earlier in the day while crossing the Bay of Biscay off the western French and northern Spanish coasts. Additionally, the fleet’s Ka-27 (Helix) helicopters conducted simulated rescue operations. Late last week, the press service said the fleet’s Udaloy-class destroyer, the Severmorsk, departed from the Mediterranean, where it held similar drills with the Ka-27 in December 2014. Three Russian vessels currently in the English Channel are not engaged in naval exercises, the UK Ministry of Defense said Tuesday. “In response to news reports, MOD can confirm 3 Russian ships being monitored by @RoyalNavy HMS Argyll through Channel. No exercises seen,” the ministry said on Twitter. According to the ministry, Russian Udaloy-class destroyer Severomorsk is returning from the Mediterranean with a tanker and a support ship. MOSCOW, March 19. /TASS/. 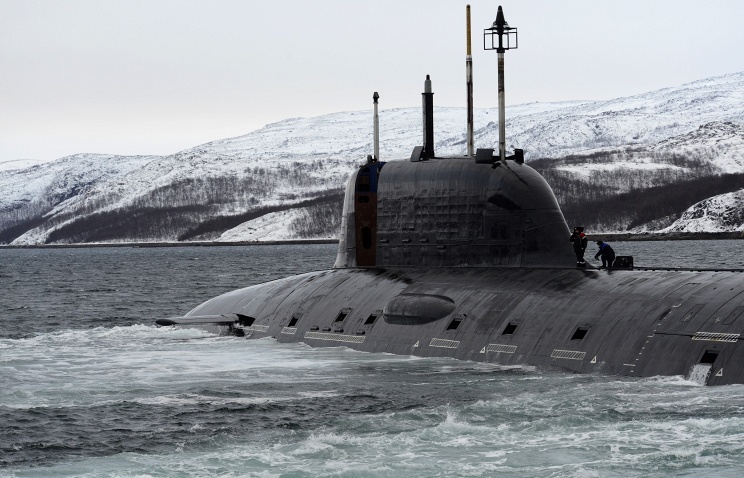 The intensity of Russian submarines’ combat patrol missions has been up 50% since the beginning of 2014, the Russian Navy’s commander, Admiral Chirkov, said on the occasion of Submariner Day. “I can say that the intensity of combat patrol missions by strategic and multi-role nuclear-powered submarines in the World Ocean is maintained at a level that guarantees the security of our country. Moreover, I should say that in January 2014 through March 2015 the intensity of combat patrol missions by our submarines has been up by 50% in contrast to 2013,” Chirkov said. “This is necessary and natural for guaranteed security of the state,” Admiral Chirkov said. “We do not indulge in saber rattling. We are just regaining our foothold,” he said. Chirkov said last year alone ten crews were trained for Northern and Pacific Fleet submarines, expected to patrol various parts of the World Ocean.